<b>FAMILY TIES:</b> Filmmakers Isaac (left) and Jacob Seigel-Boettner record on the site of <i>Singletrack High</i>. For Jacob and Isaac Seigel-Boettner, it’s always been about the bike. Growing up in Santa Barbara, the two brothers were, quite literally, cyclists from birth. “We both were brought home from Cottage Hospital in the bike trailer,” recalled Jacob. The sons of two bike-loving teachers, the boys spent their childhood tagging along on the cycling trips their parents organized for their students. As teens, they even started their own after-school mountain biking club at San Marcos High. At UC Berkeley, Jacob chose to travel to Rwanda, where he worked and stayed in a small coffee-farming village. When he was asked to write a paper about his experience, he decided to make a film instead. “I wanted my friends and my family to understand what I had seen, and I knew they weren’t going to read a paper,” he explained. 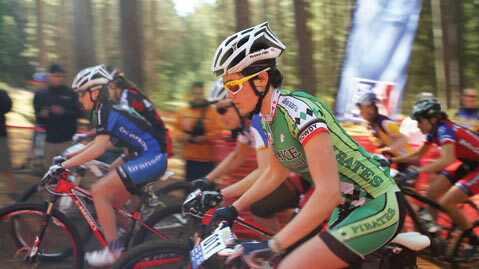 <b>SWITCHING GEARS:</b> High schoolers vie for glory in Pedal Born Pictures’ new documentary. From that came Pascal’s Bike, a short film about a Rwandan coffee farmer named Pascal and the effect his bicycle had on his life and his community. Next came With My Own Two Wheels, a full-length feature documentary that focused on five stories of how bikes can — and do — change lives around the world. The film was shown at the 2011 SBIFF, as well as Mountainfilm in Telluride, the Flagstaff Mountain Film Festival, and the Wild & Scenic Film Festival, among others. Nowadays, Jacob and Isaac are calling San Francisco home, as well as expanding their scope. 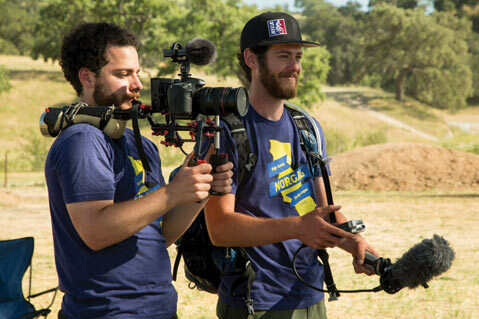 Last year they launched their own production studio, Pedal Born Pictures, and this Thursday they’ll return to Santa Barbara to screen their first official Pedal Born project, Singletrack High. Inspired by the mountain biking club the brothers started as teens, Singletrack High takes a look at biking clubs in the NorCal High School Cycling League and six young cyclists who believe in the importance — and awesomeness — of riding. It’s Jacob and Isaac’s ultimate hope that Singletrack High will help boost cycling culture among teens, who tend to ditch their bikes for cars when they reach high school. And so far, it seems to be working. The brothers have already shown Singletrack High in more than 20 locations, and they’ve got a long list of screenings on the horizon. Better still, they’re already noticing the way kids are reacting. In addition, Singletrack High’s Santa Barbara screening finds the Seigel-Boettner brothers giving back to their home turf. “The goal of the screening is to raise funds for the S.B. Bike Coalition,” said Isaac. Currently, the Coalition is aiming to purchase a trailer stocked with mountain bikes, tools, and spare parts, which will enable them to take their bike workshops on the road — and into classrooms where lower-income kids can gain access. And that’s a ride we can all get on board with. Singletrack High screens at the Lobero Theatre (33 E. Canon Perdido St.) on Thursday, May 16, at 7 p.m. Call (805) 963-0761 or visit lobero.com. For more on Pedal Born Pictures, visit pedalbornpictures.com.